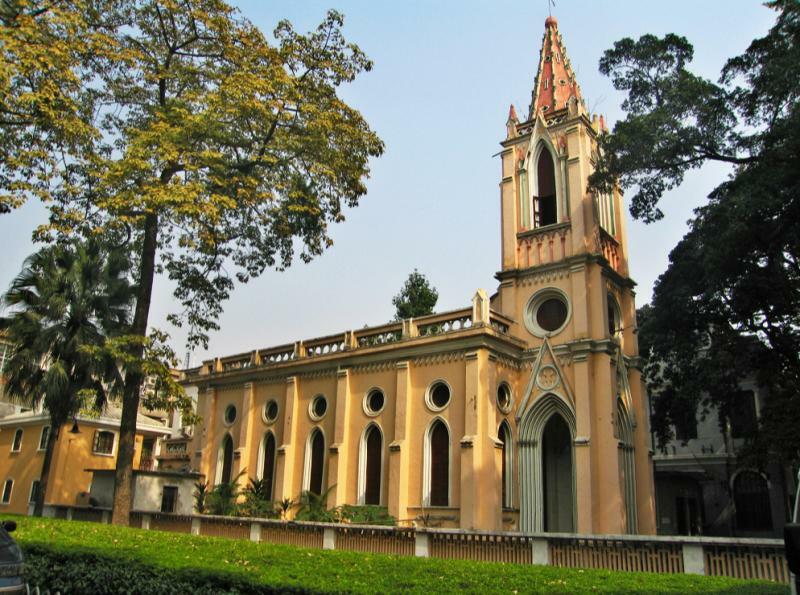 Guangzhou, once well known as “Canton” nationally, is the capital of Guangdong Province in southern China. This charming city where tradition and modernity coexist attracting us to hold our 2018 Annual Meeting here. The whole trip lasted 3 days. On Jan. 1st, 2019, the high-speed train took us from Guilin to Guangzhou, and upon arrival, we settled in Guangdong Victory Hotel in Shamian Island, which is one of my favorite areas in Guangzhou. Shamian Island – once acquired as a foreign concession, but now has become a perfect, peaceful and characteristic place getaway from bustling city life. As soon as we landed our luggage in the hotel, we set out to find some authentic Cantonese cuisine. Walking along the tree-lined avenues of Shamian Island, smelling the sweet-scented osmanthus fragrance, admiring the well-preserved historical European style architectures – how wonderful feeling it is! Besides, this is an ideal photo shooting place, so it is not surprise that you will encounter lots of cute girls taking COSPLAY photography in front of these old buildings. After the delicious dinner, came our free time, some colleagues went to go shopping for clothes in super malls; some colleagues went to experience the daily life of local people by exploring street markets; some colleagues went to enjoy the beautiful night view of Guangzhou and especially the Canton Tower – a typical landmark of Guangzhou, which shouldn’t be missed. We spent a colorful happy time on that night. The following day, we got up very early, and then drove to the Chen Clan Ancestral Hall (also called Chenjiaci / Chen Family Temple) – the most representative traditional Lingnan ancestral temple architectural complex with a history of over 100 years. The complex consists of 19 buildings with 9 halls and 6 courtyards, and all of them are decorated with exquisite carvings, statues and paintings, which are full of art atmosphere. And now it houses Guangdong Folk Art Museum. Then we continued our journey to visit the magnificent Sun Yat-sen Memorial Hall – one of Guangzhou’s most iconic buildings, which epitomizes the harmonious combination of Chinese and Western architectural design. I bet you will definitely amazed by the inspiration of its designer – Chinese architect Mr. Lu Yen-chih. 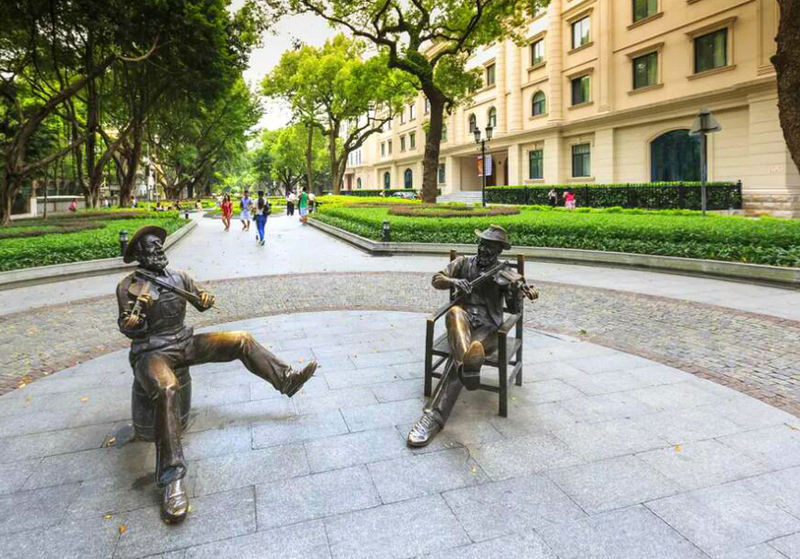 Xiguan Folk Customs Museum – our third destination of Guangzhou tour, is very attractive for me. In the late period of Qing Dynasty, Guangzhou’s foreign trade business was prosperous and flourishing. A lot of rich merchants gathered in Xiguan and built their houses due to the fresh air and convenient transportation here. Based on the fusion of Chinese and western style, the Xiguan houses are very unique in terms of plane layout, elevation treatment, architectural design, detailed decoration, etc. With the restored Xiguan houses as its main building, Xiguan Folk Customs Museum partly recreates the typical style of Xiguan houses, and while you are strolling here, you will feel get closer to the Xiguan residents’ life manners and cultural landscape by household furnishings and scene displays. After the long and meaningful visit, we decided to have afternoon tea and delicacy refreshment, and then went to relax ourselves by watching a stage show called There Is More Than Bright Moonlight Before My Window （窗前不止明月光）at Guangzhou Friendship Theatre. The show was very funny and imaginative. 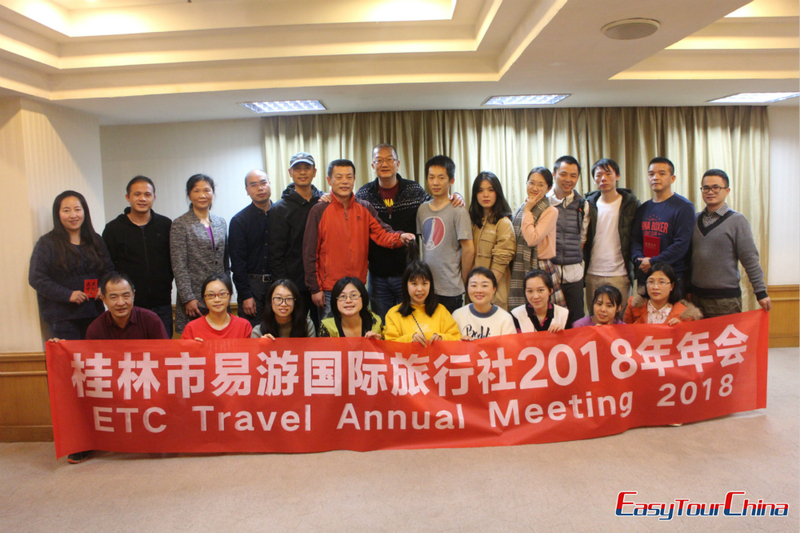 Then came Easy Tour China 2018 Annual Meeting time, and we summed up our year’s achievements and experience, and everyone shared some photos and interesting stories throughout 2018. Besides, the leadership of ETC gave awards to the outstanding employees. The whole annual meeting was real sweet and interesting. 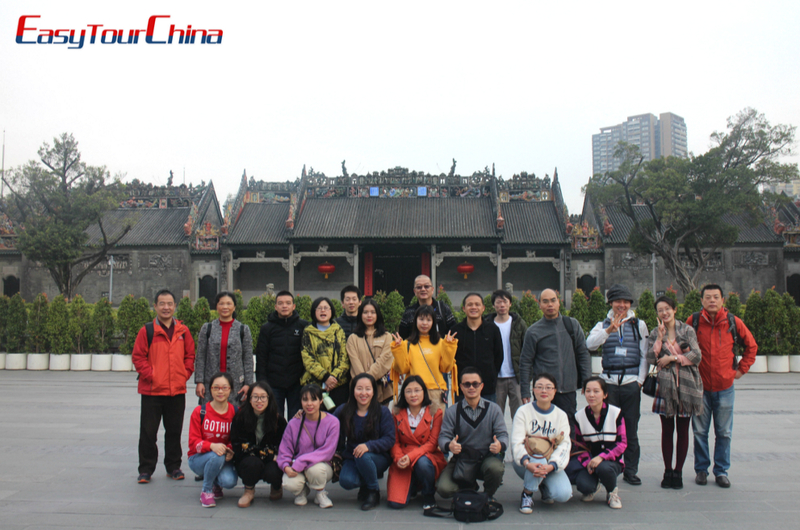 On the last day of the Guangzhou trip, we seized the limited time and started to free activities. Some colleagues chose to take a break at the hotel, some colleagues still chose to go shopping, but I chose to explore a much-to-be-longed-for place – Guangdong Museum, a comprehensive museum with collections of over 170,000 pieces (sets). It looks like a delicate ancient openwork container of treasures. 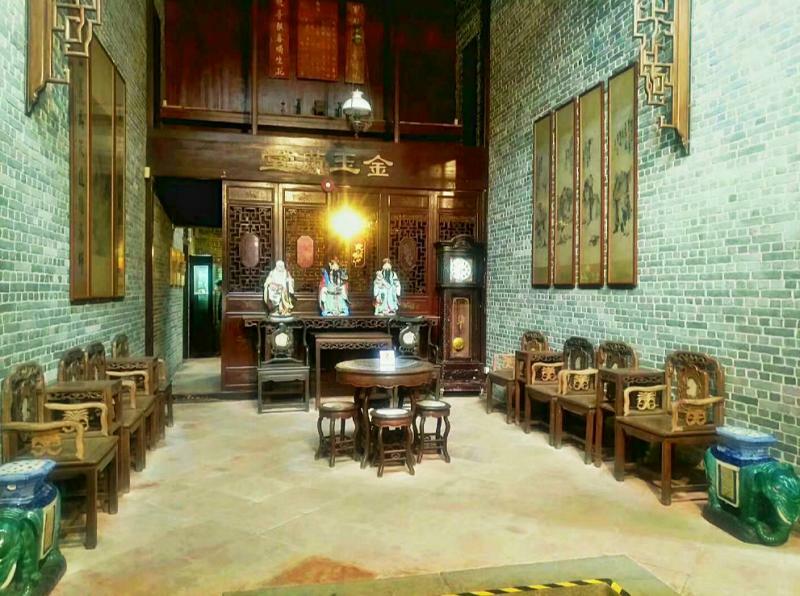 While you explore different halls, you will find permanent exhibitions like Guangdong History and Culture, Guangdong Natural Resource and arts (such as the Duan inkstone, Chaozhou Woodcarving, Pottery, Porcelain, Chinese & Western Fans) as well as temporary exhibitions (This time, it is Egyptian Exhibition.). Once the exploration is over, you will feel amazed by the wisdom of the ancients and have a better understanding of Guangdong. The happiest time is always transient. After enjoying some delicious Cantonese dishes, we took the high-speed train back to Guilin. But this meaningful Guangzhou tour let us a long time unforgettable. 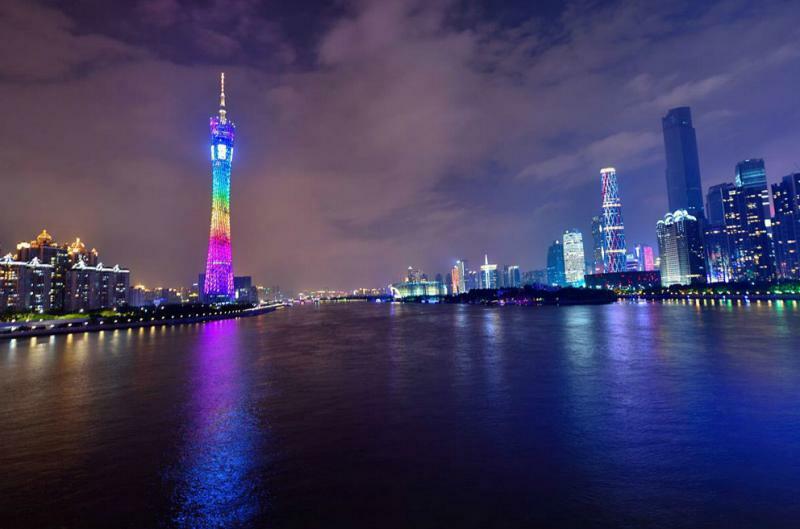 So if you would like to have a trip to Guangzhou or other cities of Guangdong Province, our ETC team is happy to help you tailor-make your own Guangzhou Tour or Guangdong Tour based on your pace and preference. Or you can simply make an inquiry by using the form below.